Our family has two Christmas traditions which, we admit, are quite on the odd side. 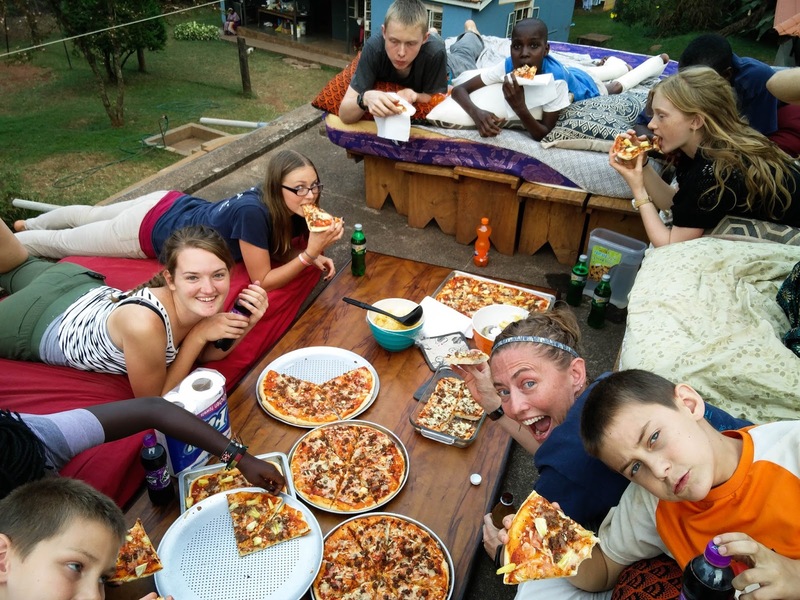 One is that we have one dinner while "Reclining" at the table...something like what you read of the culture of New Testament times...minus the pizza and soda? 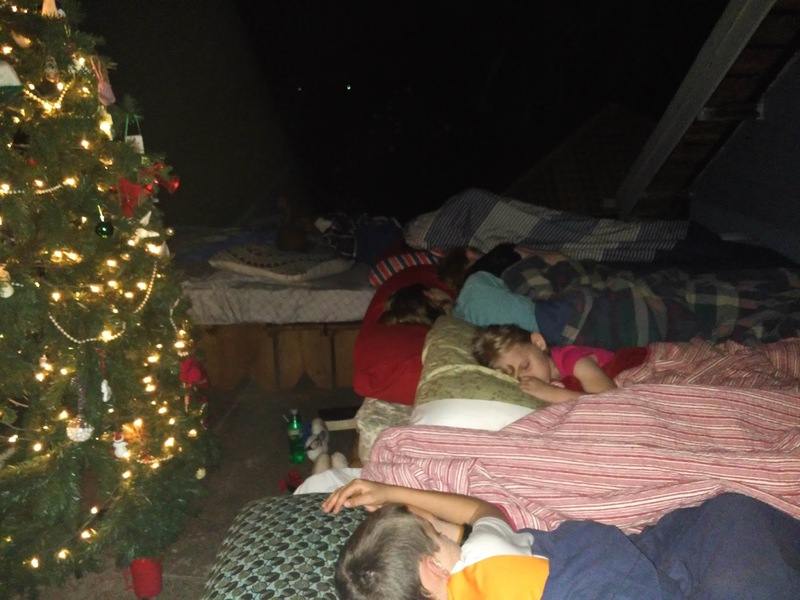 haha... Daddy's idea was to eat our reclining dinner in the pavilion...the kids opted for the roof. 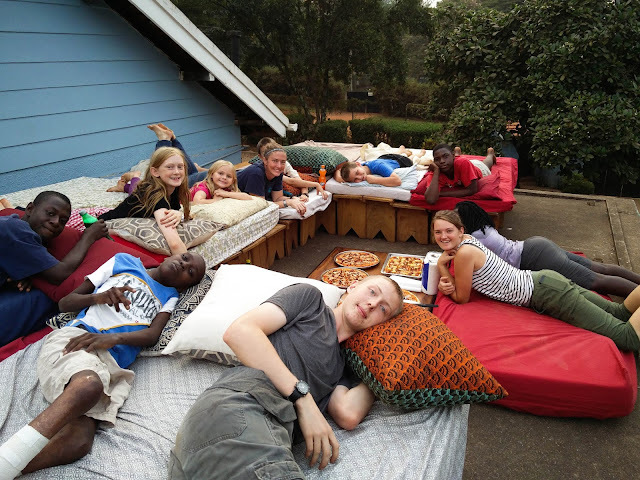 So they did all the prep work and up we went...benches, pizza, mattresses, pillows and all. 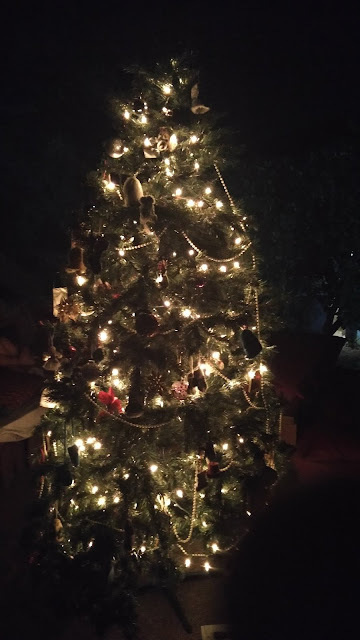 Our second yearly tradition is to sleep around the Christmas tree. 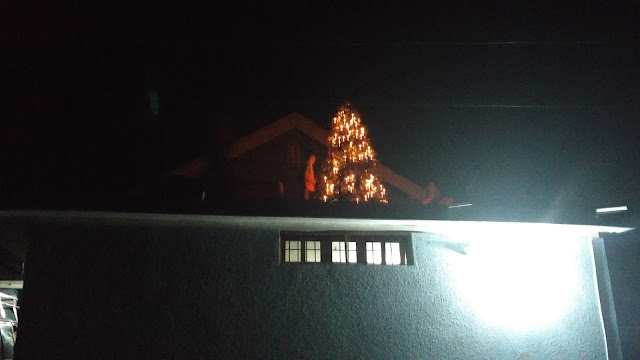 So since all the festivities were on the roof...well, clearly, the tree had to be moved up to the roof too, right? 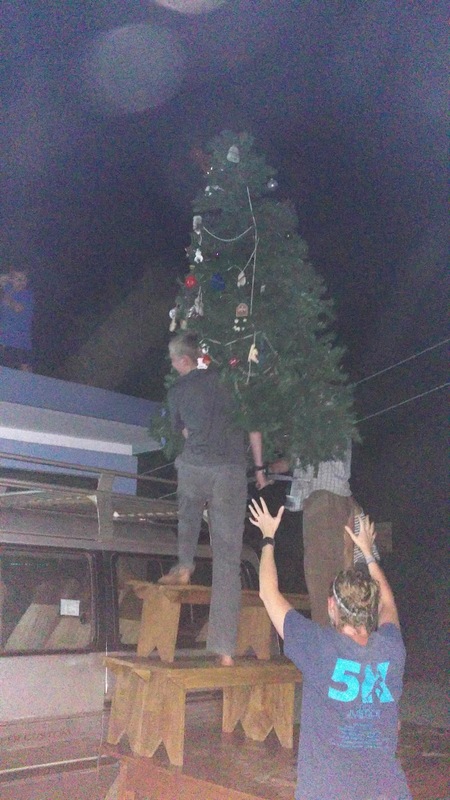 Up it went...fully decorated! I'm not quite sure what I was doing here, because clearly...had that thing dropped, there is nothing my little self could have done. haha! 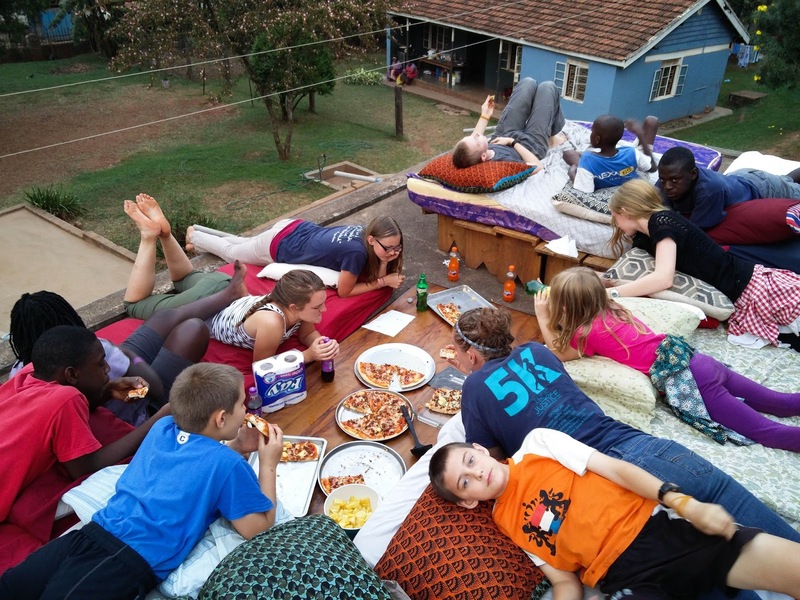 Sleeping on the roof doesn't give the most restful night of sleep. 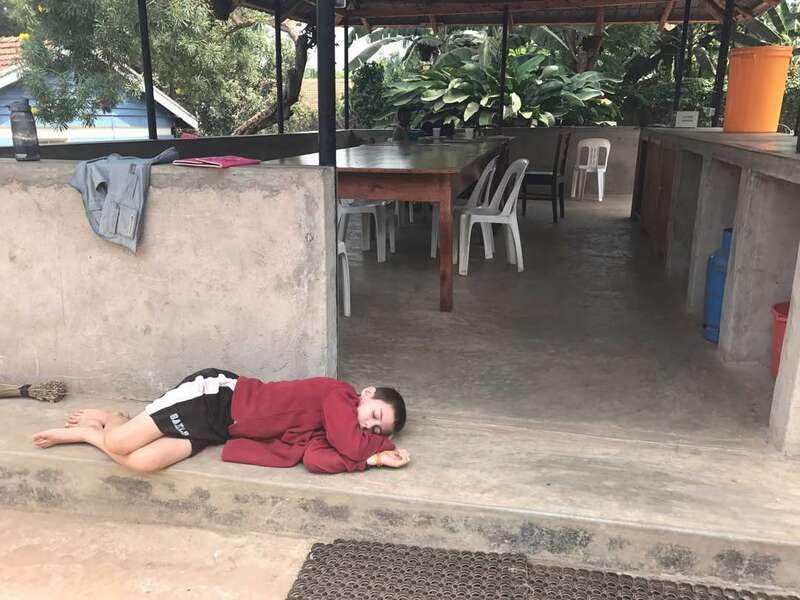 The next day, we found William crashed outside on the pavilion step. Poor kid!